You are curenlty in Care Fusion Pleurx Patient Starter Drainage Kit 500ml, Includes Patient Education Dvd, Emergency Information Card made by Care Fusion and asigned to category. The Pleurx Catheter System Is A Comprehensive Portfolio That Provides All The Items Necessary To Successfully Place The Pleurx Catheter, Support And Train Your Patients, And Help Ensure Safe And Effective Drainage By Patients Or Their Caregivers. 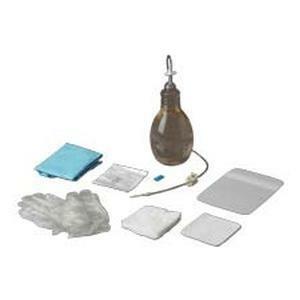 You have selected Care Fusion Pleurx Patient Starter Drainage Kit 500ml, Includes Patient Education Dvd, Emergency Information Card from Pleurx Products. We hope that this Care Fusion Pleurx Patient Starter Drainage Kit 500ml, Includes Patient Education Dvd, Emergency Information Card made by Care Fusion is what you were looking for. If you have any questions about this particular Care Fusion Pleurx Patient Starter Drainage Kit 500ml, Includes Patient Education Dvd, Emergency Information Card or any other products from Pleurx Products, please call us. We have an experienced staff that will gladly help pick out the correct Care Fusion Pleurx Patient Starter Drainage Kit 500ml, Includes Patient Education Dvd, Emergency Information Card for you, also. If you are looking to make a purchase of Care Fusion Pleurx Patient Starter Drainage Kit 500ml, Includes Patient Education Dvd, Emergency Information Card in large quantity or you are a Hospital or Medical facility and need help on making a purchase of Care Fusion Pleurx Patient Starter Drainage Kit 500ml, Includes Patient Education Dvd, Emergency Information Card made by Care Fusion, please contact us.